Nodes of Ranvier formed in the fall of 2000. The band started as an outlet for fun and expression by its members. The band makes music with the intention of enjoying what they create and hoping that others will enjoy it as well. Nodes has gone through several lineup changes (including a stint with Nick from The Spill Canvas taking over vocal duties) in its existence with the newest line up being: Jon Parker (guitar), Ryan Knutson (percussion), Nick Murphy(vocals), Terry Taylor (bass), and Jake Stefek (guitar). Past members have included: Tyler Maine, Jeremy Schwartz, Zach Poppinga, Nick Thomas, Jon Schuld and Thomas Hentges. In the Spring of 2002, Nodes of Ranvier released a split CD with the Iowa based band, Innocence Broken, on winterinjuly records. 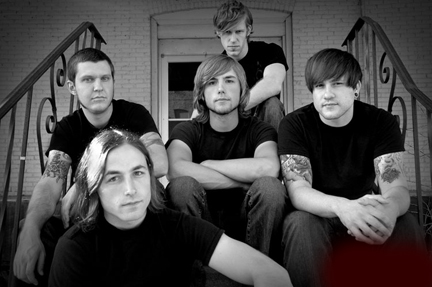 The following summer they released a full length album on facedown records, "lost senses, more innocence". 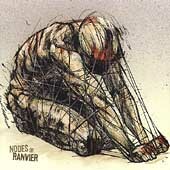 July 2003 brought a new album from Nodes of Ranvier that they feel best represents what this band is all about in all aspects... musically, emotionally, and visually. 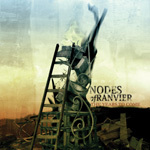 Due to the bands confidence in all aspects of that album they simply named it "Nodes of Ranvier". In April 2005 Nodes will again claim their territory with "The Years to Come." Nodes of Ranvier have also toured the U.S. numerous times and continue to tour at least 6 months a year. Nodes has had the privelage to have shared the stage with: Bleeding Through, EXTOL, Living Sacrifice, Zao, Misery Signals, Bury Your Dead, Every Time I Die, Norma Jean, Evergreen Terrace, mewithoutYou, Caliban, Glass Casket, and REFLUX. In 2006, bassist Terry Taylor announced he will be leaving the band to work on his booking company and with The Blinding Light.